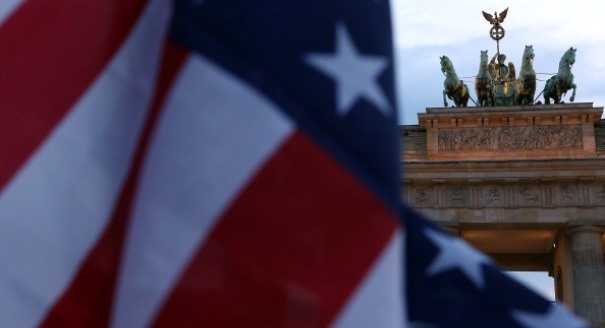 Post-Bush America and the World: Can the Gap be Closed? Engaging Pakistan - What Political Strategy to Create Stability? Ongoing violence in Pakistan serves as a constant reminder of the immense challenges facing President Asif Ali Zardari. U.S. efforts to effectively balance security and policy imperatives in this volatile region have not succeeded. The U.S. and Europe can develop a successful new strategy if they engage directly with Pakistan’s civil society while continuing to recognize the military’s importance. The Russia-Georgia conflict has not only re-defined the balance of power in the Caucasus but also Russia’s relations with the world. To understand what a re-emergent Russia wants, Carnegie Europe has hosted the first of its new ‘Live from…’ video briefing with leading Russian foreign policy expert, Dmitri Trenin. 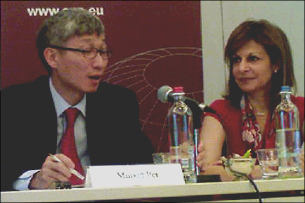 The rise of China as a major economic, cultural, and military force in has fundamentally altered the balance of power in the Asia-Pacific region. Doug Paal from the Carnegie Endowment, and Geoffry Barret from the European Commission, discussed how the U.S. and the EU should respond to this new dynamic. 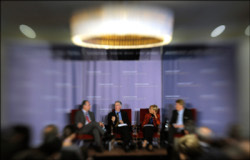 What Future for Democracy Promotion in U.S. Foreign Policy after Bush? 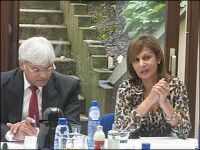 On the eve of the international donors’ conference for Afghanistan, Carnegie Europe convened a day of discussions in Paris between Afghan leaders, top NATO representatives and other international experts, on the priorities for Afghanistan over the next five years and how the roles of NATO and the EU should evolve. The Beijing Olympics: A Driver for Reform or a Mask of Modernity? The Beijing Olympic Games will reveal the two sides of China: the enormous economic progress the country has made over the last 30 years but also the ‘alarming’ levels of uneven development and the devastating environmental consequences of its progress. Taking advantage of Carnegie's presence on both sides of the Atlantic and its leading research work on South and Central Asia, Carnegie Europe has launched a policy initiative on Afghanistan aimed at bridging Afghan, U.S., and European perspectives on future strategies to address difficult issues like narcotics and regional relations. 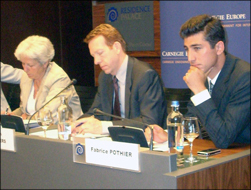 Dealing with Iran's Nuclear Ambitions: What Future Strategy for the International Community? 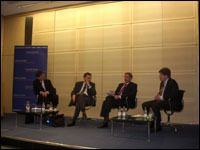 A high-level panel on Iran held in Berlin, Germany, and hosted by Carnegie Europe on March 11, 2008. On January 25, Carnegie Senior Associate Ashley J. Tellis presented the findings of his Carnegie Report, <EM>Pakistan and the War on Terror: Conflicted Goals, Compromised Performance</EM>, at the Royal United Services Institute (RUSI) in London. Tellis and Carnegie Visiting Scholar Frederic Grare provided first-hand commentary following President Musharraf's keynote speech at RUSI.